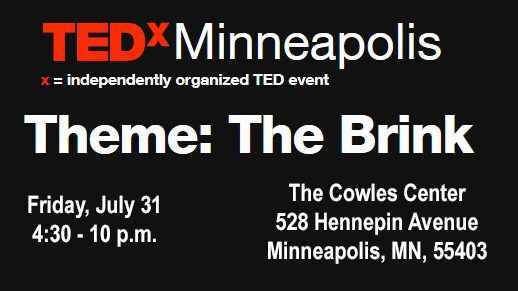 TEDxMinneapolis is going to the brink. The independently organized TED event out of Minneapolis is hosting six speakers this Friday, July 31, who have faced head on radically new ideas, profound developments and significant dangers — all of which will change how we perceive our world in the near and long range future. One of those speakers is George Vasmatzis, Ph.D., co-director of the Biomarker Discovery Program at the Mayo Clinic Center for Individualized Medicine. Dr. Vasmatzis will be introducing a new audience to the profound changes happening in health care with precision medicine, and how his work with biomarkers is ushering in massive changes to how we treat patients. The Greek native has known cancer most of his life. One of his first memories was as a 5-year-old boy living in an immigrant neighborhood in Thessaloniki, Greece. A young man dressed in the white uniform of the local medical military academy often walked by the curious boy, as he peered over the balcony of the family home. The young medical student was the pride of the neighborhood. On the day that George discovered the young man had died of cancer, he remembered the face of his mother — sad, distraught, grieving. It was a look he was to see often in the future, and one that he came to know firsthand. Both his parents died of the deadly disease in their 70s. He has lost friends, colleagues and relatives to cancer — just like everyone who will be attending the TEDx talk in Minneapolis. This experience with cancer is also what drove him into biomedical research, and eventually into the newly developing field of biomarkers. Although the term didn’t surface until the 1980s, the concept of biomarkers has been around for almost a century. Biomarkers are molecular substances in the body that can be used to indicate health or disease. These biomarkers can be found in tissue, blood, urine and other body fluids, and can lead to individualized diagnosis and treatment. But biomarker discovery needed a technological revolution before it could become a viable field in medicine. First, in 2001, after more than a decade of work, the Human Genome Project unlocked the billions of pieces information in our DNA. Second, an interdisciplinary field of science that combined computer science, statistic, mathematics and engineer had to develop. Today, we call this bioinformatics, and it’s essential to create the specific analysis pipelines used in genomics. Biomarker discovery requires a multidisciplinary team that includes oncologists, surgeons, pathologists, molecular biologists, bioengineers, bioinformaticians and others. By combining expertise, this group of investigators takes a clinical question and answers it through a four-phase approach: Discovery, experimental validation, preclinical validation and clinical validation. 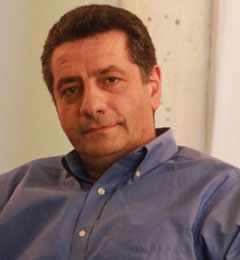 Dr. Vasmatzis and his colleagues at Mayo Clinic have devised a next-generation mate-pair sequencing technique for detecting rearrangements and are in the process of developing clinical tests for hematological malignancies, breast cancer, and constitutional disease. The goal is to solve clinical dilemmas across a spectrum of diseases. Like cancer, a disease that has touched nearly everyone, including Dr. Vasmatzis and the people who will be attending the talk at TEDxMinneapolis on Friday night. If you’re in the Twin Cities this Friday, make your way to the Cowles Center for Dance and Performing Arts, from 4:30 to 10 p.m., to hear Dr. Vasmatzis and others address some of the biggest challenges facing us right now. They will take us to the brink of new discoveries, new ideas, and new challenges. To read more about Dr. Vasmatzis work with biomarkers, go to Mayo Clinic’s Biomarker Discovery Program, or read the CIM blog on his work with next-generation sequencing. 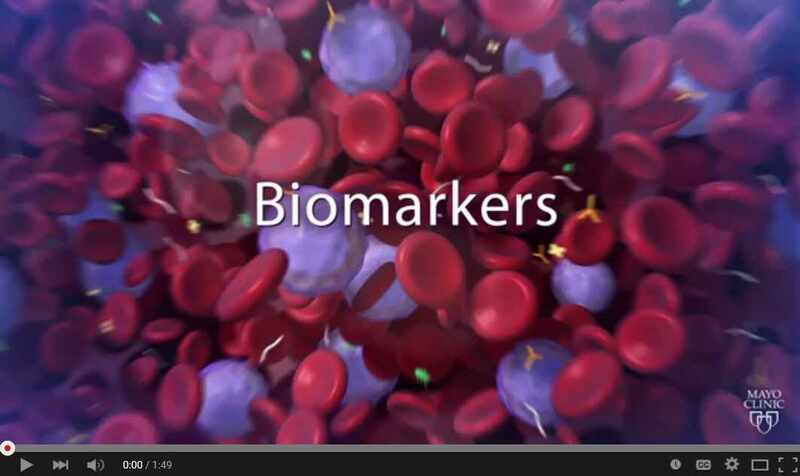 Here is an introduction to biomarkers and Dr.Vamatzis' Biomarker Discovery Program at Mayo Clinic.